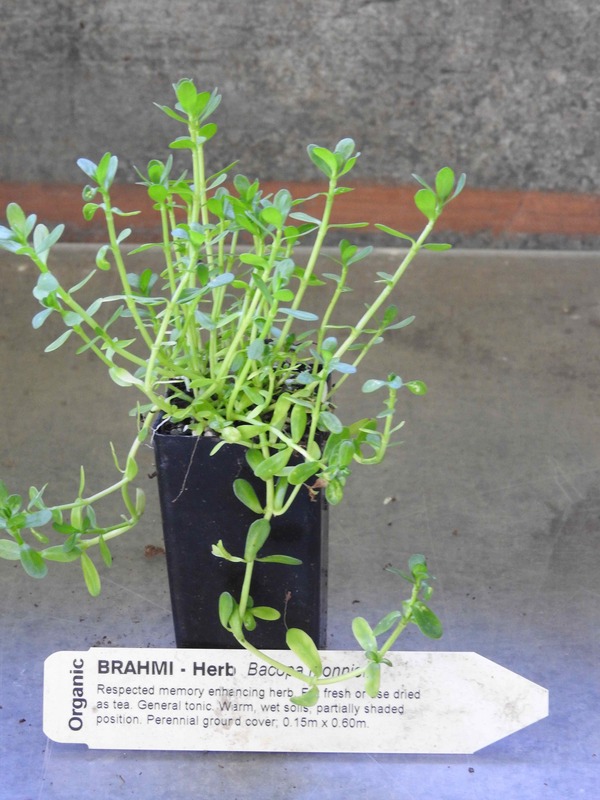 Brahmi plant, Bacopa monniera, is greatly respected as memory enhancing herb. Eat fresh or use dried in a tea. A sprig placed in a cloudy fish tank clarifies the water overnight. Brahmi plant is native to India and prefers warm, wet soils in a protected, partially shaded position. Drought and frost tender. A perennial ground cover, growing to a height of 0.15m x 0.60m. Be the first to review “Brahmi, plant” Click here to cancel reply.